“The Grinch hated Christmas – the whole Christmas season. Now, please don’t ask why; no one quite knows the reason. It could be, perhaps, that his shoes were too tight. Or it could be that his head wasn’t screwed on just right,” Dr. Seuss. Overall thru-hike rating (4/10). By the end of the second week I was convinced that low rise waterproof boots were a poor choice for thru-hiking. Even though the waterproof boots initially did a pretty good job out keeping water out of my boots, they did a much better job of trapping the water in. Whenever my boots got wet they then needed a night in town and a blow dryer or heater to dry them out. 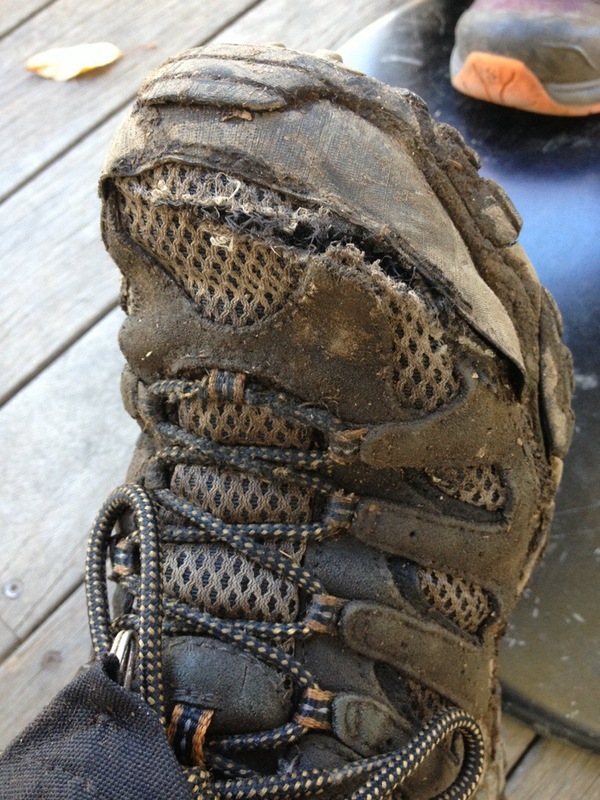 In addition to being a problem when the trail was consistently a 6 inch deep puddle, they were also problematic in the heat and humidity of the south where my sweat alone made my boots constantly wet or damp and my boots and my feet never really succeeded in completely drying out. By the end of the first week my feet hurt, I had some hot spots on my big toes and on my heals, and some soreness and numbness in the two littlest toes on both of feet. I experimented with moleskin, duct tape, blister band aids, and second skin to no avail. The wet conditions and the friction in my boots meant that the moleskin and duct tape had trouble staying in place, and the fancy new blister band-aids just dissolved/ground into my socks. By the time I got to Gatlinburg, TN (mile 207) I had a monstrous blister. Athletic tape ended up working the best for covering my hot spots and blisters. Unfortunately my feet still hurt, so I started experimenting with different sock combinations. I carried extra socks so that I could give my feet a new, drier pair of socks at midday everyday, and that helped. I ended up disliking my smartwool socks because they took forever to dry (they definitely didn’t dry overnight). I also disliked wearing socks with a separate liner… It meant that there were twice as many socks to lose and a lot of extra bulk in my shoes and in my pack. I finally settled on Wigwam’s Rebel Fusion Quarter and Wigwam’s Cool Lite Hiker Pro Quarter as my favorite hiking socks. The real key to blister prevention was the discovery of anti-chafing sticks. If I coated my feet with Gold Bond Friction Defense or Band-Aid Friction Block I didn’t get blisters! After I realized that, I used it every day! Unfortunately my feet still hurt. The next set of experiments I did was with insoles. I’d buy a pair, and then wear them for a couple of days to see if they helped my feet hurt less. I would then alternate stretches of trail with similar terrain to make sure it was the insoles and not the trail making my feet feel better or hurt more. 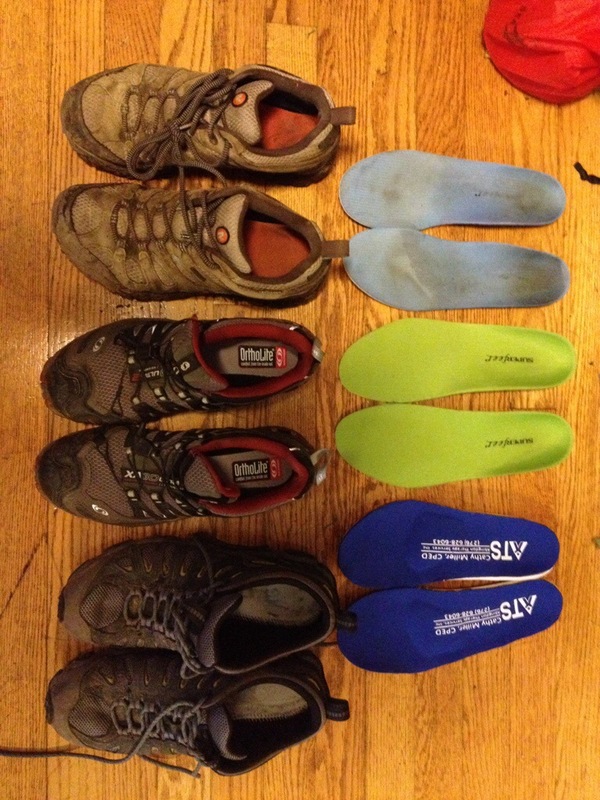 I tried spenco insoles, I tried gel insoles, and I tried both the green and the blue superfeet. Nothing seemed to help. Overall thru-hike rating (4/10). These shoes dried out incredibly quickly, but I noticed that the traction on them wasn’t as good as with the Merrell’s, and they didn’t provide me enough ankle stability. In the 400+ miles prior to trying the Solomen’s, I turned my ankle a total of twice. On the first day with the Solomen’s I turned my ankle 6 times. I was unimpressed. I switched back to my Merrell’s the next day, 0 ankle turns. I decided to try the Solomen’s one more time, 4 ankle turns. Boot experiments were much more expensive than sock experiments, but I wasn’t going to risk spraining my ankle by continuing to wear the Solomen’s. Overall thru-hike rating (7/10). Unfortunately the Oboz did not immediately alleviate my foot pain, even after trying them with all of the insole combinations that I had. They did dry out much much faster than the Merell Moab’s (though not as quickly as the Solomen’s), and they had much better stability and traction than the Solomen’s. In general, I would say that the stability was similar to the Merell’s but that the traction I got with them was worse. My biggest complaint with the Oboz was that they delaminated after hiking less than 100 miles. By the time I made it to Daleville, VA (mile 723.5) I had been using athletic tape to try to keep the soles on for the last 100 miles. After I spent a zero day getting cozy with my shoes and a bottle of rubber cement, the shoes managed to make it the rest of the way to Harper’s Ferry. 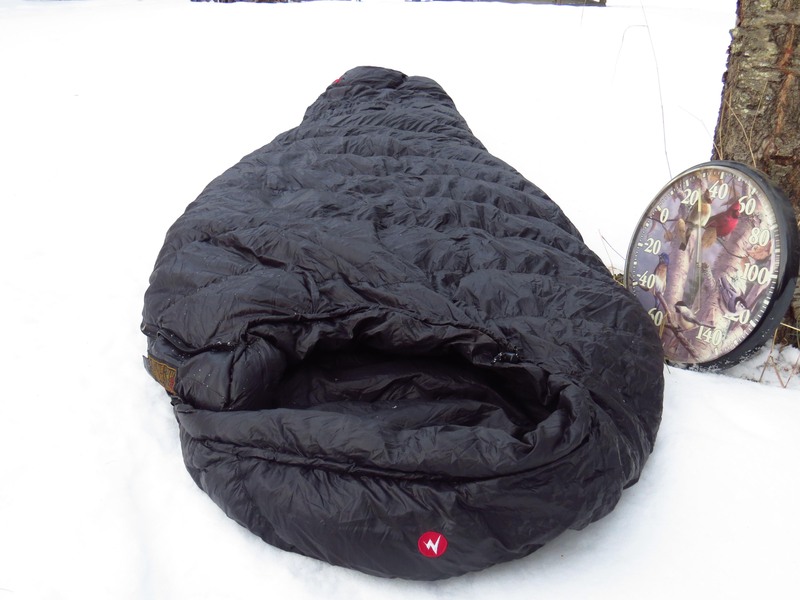 Overall thru-hiking review (10/10). The thing that finally alleviated the pain in my feet was a pair of custom orthotics that I had made for me in Abingdon, VA by Cathy Miller, CPED at Foot Rx. Within a week my feet stopped bothering me! Not only that, the orthotics actually survived for the entire rest of the trip!!! Sure, they needed a little bit of athletic tape to help them out for the last 200 miles, but I was incredibly impressed by how well they held up! 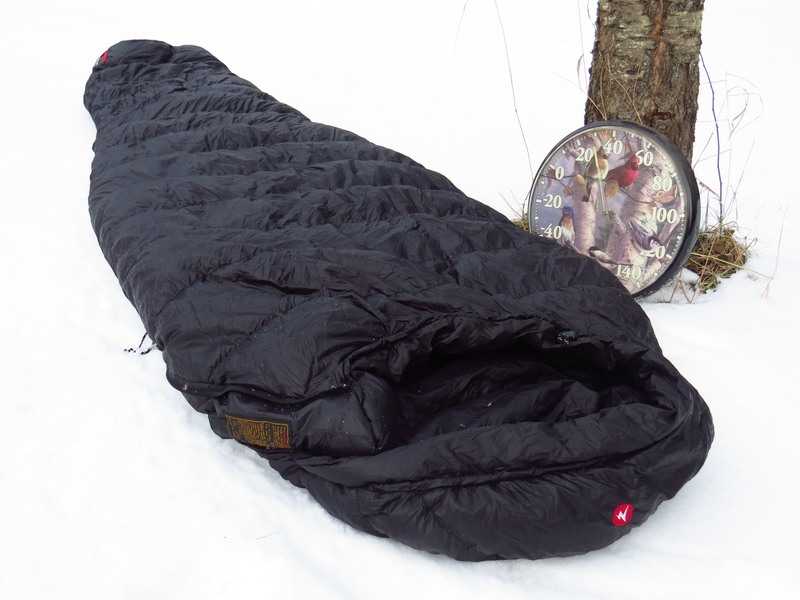 Overall thru-hike review (6/10). The thing that I didn’t like about the Vasque’s was the internal seamline that cut right across the top of my toes. This rubbed across my toes and gave me hot spots in all new places. For the first 3 weeks hiking in the Vasques I had to wrap my toes with athletic tape every day to protect them from that damn seam. Eventually my feet built up enough callouses across my toes that that issue resolved. By then, however, my feet had started fighting back and wearing out the fabric of the shoes. When I wandered into Massachusetts my toes had worn holes through the sides of the boots, the soles were delaminating (and had already been re-glued and taped back together), and some pieces of the tread were completely missing. Overall thru-hike rating (9/10). They were comfortable, had great traction and stability, and impressive durability on some of the most rugged terrain on the AT. They did have some issues with delamination, and at mile 1840.5 I had to re-glue the soles. After that I thought the boots were going to last me to the end. Unfortunately, I tripped on a root as I was headed into Monson, Maine and it ripped all the way through the top fabric of my boot and down along the side. I wasn’t going to be able to finish the trail with them afterall. His boots were half a size larger than mine, but fit me very comfortably and would definitely work. It took me a couple of days (and one spectacular tumble) to retrain my gait with the slightly larger shoe size, but other than that they didn’t cause me any trouble. By the time I reached Katahdin my boots began to delaminate again (not at the toe per usual, but along the inside arch), but I don’t know how much mileage they’d seen before I got my hands on them. 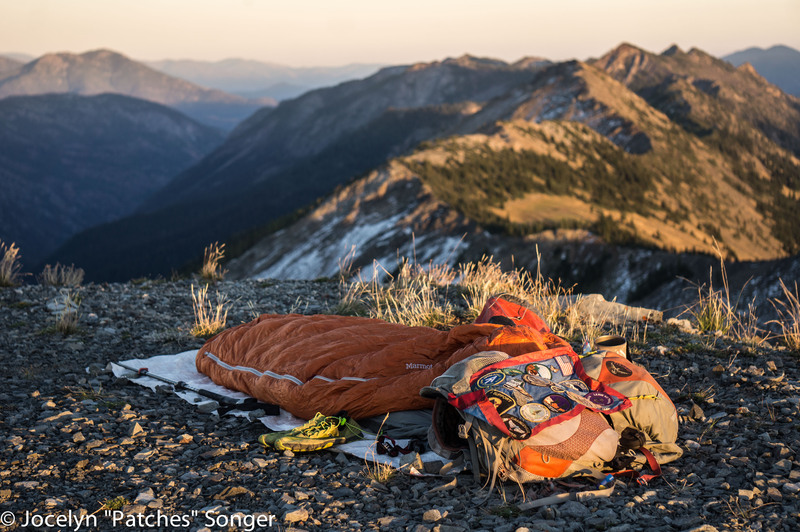 If you are a thru-hiker, I recommend that you call them up and ask them about their thru-hiker program, which is truly awesome and has convinced me to consider their boots for my PCT thru-hike. After returning home from the trail (and running the Marine Corps Marathon) my right foot started to experience significant pain whenever I put weight on it, specifically I had pain in the ball of my foot and radiating out into my middle toe. It hurt enough that I went in to a podiatrist who diagnosed me with Morton’s neuromas (click this link for a more research oriented article) in both feet (worse on my left foot) and 3rd metatarsal capsulitis in my left foot. In preparation for another 2600 miles of abuse, I’ve gotten new prescription orthotics (now on their third revision) as well as 2 sets of cortisone shots into the neuroma and 3rd metatarsal capsule of my left foot. 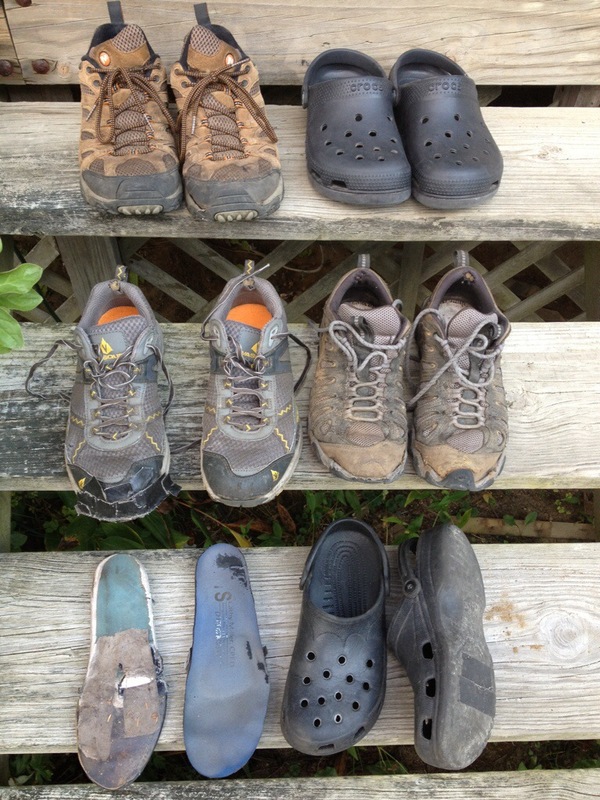 In retrospect it seems likely that the foot pain I experienced as I hiked into Damascus, VA was from the same thing and was relieved when I switched to wider boots (the Oboz) and began using orthotics to redistribute the pressure across my foot. Having tight calves is thought to aggravate both issues, so I see lots of stretching in my future as I head out for the PCT. 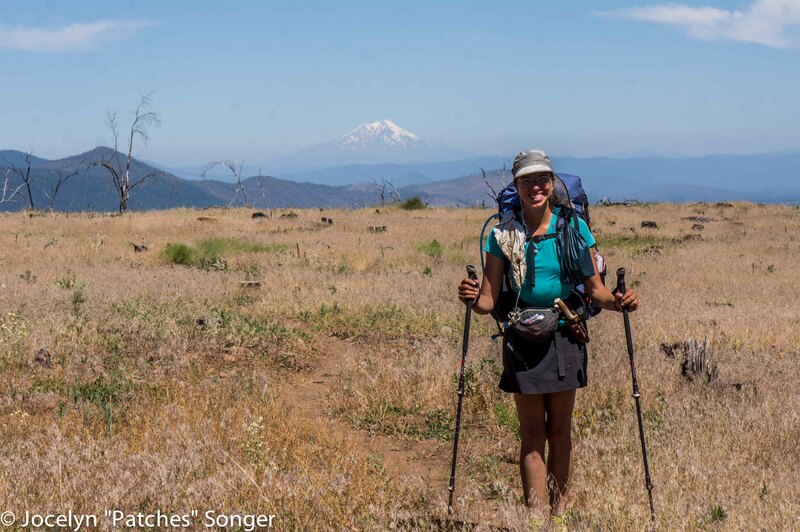 Hopefully the insights I gained on the AT as well as all of the stretching, the cortisone, the orthotics, and the wider boots will help keep my feet happy on my new PCT adventures!